There were no important economic reports to influence NZDUSD. The support rests in 0.69340 with resistance at 0.69820 which the weekly pivot point at 0.69600 is located in between the lines. The EMA of 10 is moving with bearish bias and it has reached the EMA of 100 but they are both below the EMA of 200. The RSI is moving on 50 level, the MACD indicator is in positive territory and the Stochastic is moving horizontally in its minimum ranges. The ADX is showing a weak sell signal. 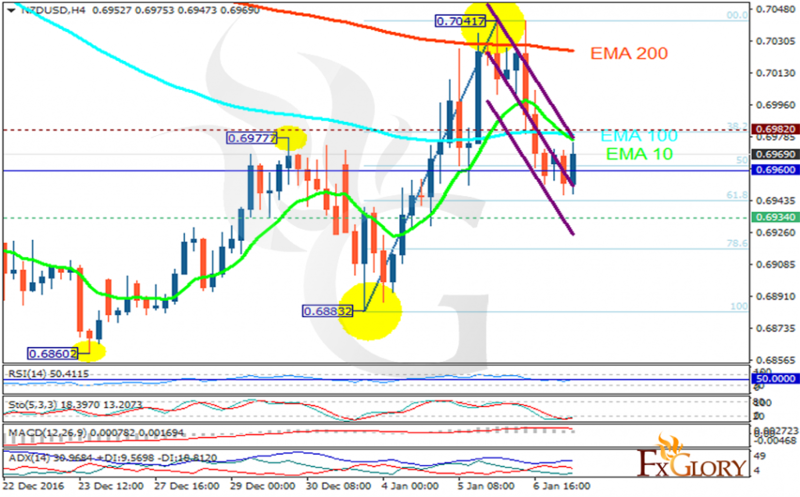 The price has already started its bullish trend after getting close to the 61.8 level of Fibonacci. Long positions are recommended targeting 0.7050.